Horses with an NFQHA Certified sire & dam, and that carry a minimum of 80 percent Foundation Quarter Horse blood, and meet all other NFQHA requirements, are eligible for National Foundation Quarter Horse Certification. This change also furthers the NFQHA stated goal of “Breeding the Quarter Horse Back into the Quarter Horse”. We do the research for you! NFQHA research is conducted by computer with custom software. 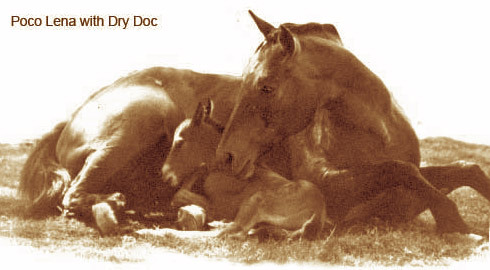 NFQHA researches back 11 generations, or to the parents of the first registered horse on each line, and provides you with a computer-generated list of every registered TB found. 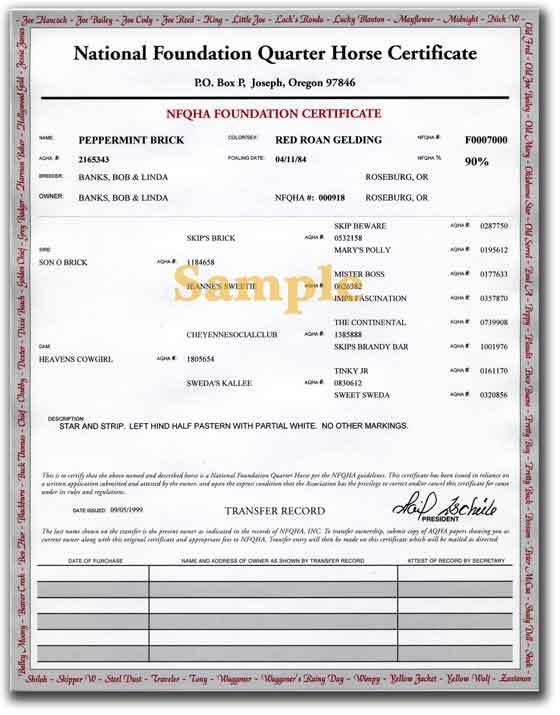 When your horse is Certified with NFQHA he has a genuine, and verified, claim to the coveted National Foundation Quarter Horse title, with written proof of his actual National Foundation Quarter Horse blood percentage. See examples of NFQHA Foundation Certificate and Blood Analysis Fact Sheet. 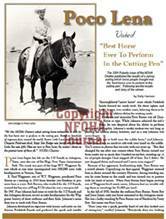 All NFQHA Foundation Quarter Horse research is conducted by computer to avoid errors, and based on the latest pedigree information available from AQHA. Our current database has 350,000 horses with more added each week. showing all Thoroughbreds found in the pedigree. Visit our links to information regarding our research methods and philosophies. Copyright ©1998-2017 National Foundation Quarter Horse Association.